The annual USAFL Western Regionals tournament was held this past weekend at the David Legacy Soccer Park outside Sacramento, California. It was a day of intense heat (105 F/41 C), but it was great to see some high quality footy being played in the state capital. With eight men’s teams and four women’s teams, there was plenty of talent and experience on display. The men’s division one side was made up of the Seattle Grizzlies, the Los Angeles Dragons, the Golden Gate Roos and the San Diego Lions (who combined with several Arizona Hawks players). The day started with the Dragons taking on the Grizzlies, securing a 26-point win in the process; concurrently, Golden Gate defeated San Diego by a nine goal margin. As the temperatures climbed throughout the afternoon, the Dragons took home another scalp, beating the Lions and securing a spot in the grand final. Harley Vague caught up with Canada Northern Light's player Caroline Leduc this week. See the interview below. Sam Murphy’s journey from American football walk-on to state league Aussie footballer has been a fun and eventful odyssey. The ruckman from the Los Angeles Dragons made his debut two weeks ago for the West Perth Falcons in the WAFL, becoming the latest American to thrive in local footy. Originally from Fairfield, Connecticut, Murphy spent most of his youth competing in American football and was a letterwinner at Fairfield High School. When his family relocated to Los Angeles, Murphy spent a year at the highly-touted Oaks Christian football program, which is known for sending players to national powerhouses like USC and UCLA. Katie Nicholson from the www.afl.com.au website reports on the development of the game of Aussie Rules football in Ontario, Canada. 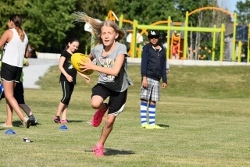 It is another example of how positive the growth of the game is across Canada, following on from our recent article looking at junior growth across the country in Vancouver (See North Delta Australian Football League Takes Unique Approach To Sport). ALTHOUGH it may never compete with national sports ice hockey and lacrosse, Australian Football is one of the fastest growing sports in Canada. And a dedicated Australian is helping drive the growth. With multiple leagues across the country's provinces, thousands of experienced and new players alike – including women – are becoming involved in the game. 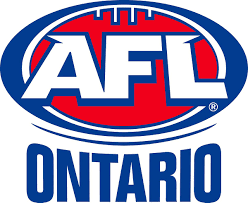 The AFL Ontario League has clubs based in and around Toronto, Hamilton and Ottawa. Founded in 1989, the league started with 10 men's clubs, and in 2010 introduced a women's competition. This year, division one of the men's competition has nine clubs, while the women's competition has expanded to five clubs with the addition of the Ottawa Swans. 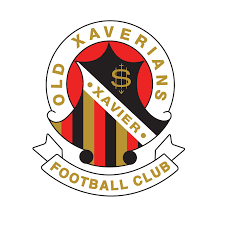 Australian Football has again captured the attention of Canadian media in this excellent and enlightening story from Grace Kennedy at the North Delta Reporter in Vancouver. The work of Mike McFarlane and his dedicated team at North Delta has long been known within Australian footy circles, but more and more their work is capturing the imagination of an ever-increasing public. From a distance, the group of kids kicking a ball back and forth on the Gray Elementary field look like they are practicing soccer. Walk a little closer, and you notice the ball is definitely not a soccer ball. It could be a rugby ball, with its oval shape and bright colour. Look across the field, and another group of athletes are in a star formation, practicing drills. They could be practicing football, passing the ball back and forth in a criss-cross formation. 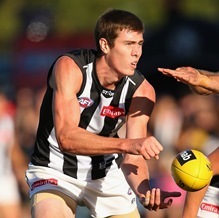 Ben Guthrie from the www.afl.co.au website reports that Collingwood’s American success story, Mason Cox, believes that there is more talent on the way from the USA provided the AFL stays the course and keeps investing in that growth. The following article looks at his claims and a look at what has already occurred with American footballers. THE AFL's decision to put its Draft Combine in the US on hold this year and instead prioritise Ireland in its search for international talent is a mistake, according to American Pie Mason Cox. Cox, the tallest player to complete athletic testing in AFL conditions at the 2014 US Combine, has been one of the success stories of the League's decision to invest time and resources into the American pathway. The 211cm big man will play the 26th game of his career against Brisbane at the Gabba on Sunday, a remarkable achievement given the former Oklahoma State University basketballer had not picked up a Sherrin before the testing day in Los Angeles in 2014. 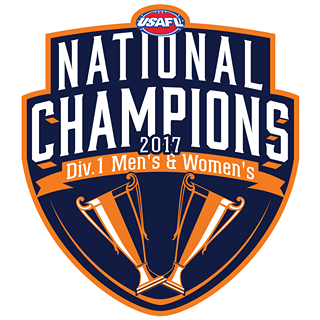 Christian Chynoweth has retired on top with a USAFL Division 1 National Championship. The Golden Gate Roos could not be happier with Chyna's contribution and will be eternally grateful for his commitment to our program. The Roos are excited to announced that Jake Ryan, former Gold Coast Suns Academy Coach, has been appointed as the new Head Coach of the Division 1 team and will lead the way as they attempt to go back-to-back in October at the 2018 USAFL National Championships in Racine, Wisconsin. 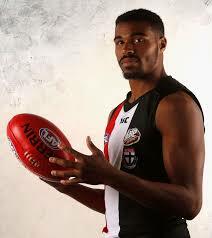 When he suited up for St. Kilda in 2015 Jason Holmes became the first American-born and raised player to play AFL footy since the league’s beginning in 1897. Jason Holmes is a Chicago, Illinois (USA) native who played U.S. college basketball at Mississippi Valley State (Itta Bena, Miss.) and at Morehead State (Morehead, Kentucky). St. Kilda took a chance on him after a strong showing at the April 2013 AFL combine in Los Angeles, California. Spending 2014 and most of 2015 at Sandringham, Holmes played the ruck in St. Kilda’s final three games of season 2015 (debut - rd 21 vs Geelong, a 97-97 draw) and in the last two matches in 2016. Having to either be delisted or elevated, Holmes signed a one-year extension through 2017 after running through his three-year rookie deal.